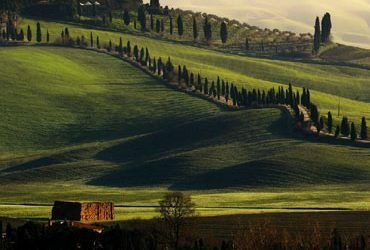 Luxury outlet village surrounded by the tuscan countryside, about 30 km from Florence. The Mall is the most exclusive destination for the lovers of shopping among the most famous brands of international fashion. It allows its visitors to buy clothes and accessories at really convenient prices for men, women and children. At The Mall there are cafés, restaurants and bars where to spend some pleasant moments of relax as the exclusive Restaurant Café Gucci. Outlet village of famous brands of international fashion, about 40 km from Florence. Placed in the wonderful landscape of Mugello, Barberino Designer Outlet is a beautiful city of luxury shopping where buy stuff while relaxing. The visitors of the outlet can buy at really convenient prices in every time of the year, with discounts of 30% to 70% on every item. Factory outlet of the nearby headquarter of Prada in Tuscany, in Montevarchi, about 50 km from Florence. Shopping at Prada Outlet allows you to dress yourself in italian style at convenient prices. The clothes are only made in Italy, symbol of elegance and style all over the world.